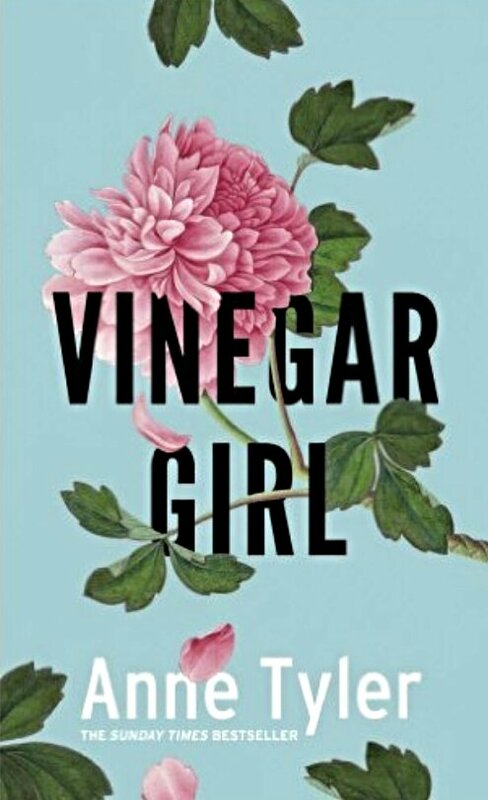 I really loved this Anne Tyler’s retelling of Shakespeare’s Taming of the Shrew. The story was made exceptional, in my opinion, by Tyler’s depiction of Kate Battista, a loner and contrary young lady who lives with her father and younger sister for whom she keeps house. Her father, Dr Louis Battista is a researcher of autoimmune diseases and his valued assistant, Pyotr, has two months to go until his visa to stay in the U.S. runs out. Dr Battista in fear of losing a prized scientist from his team decides to lobby a reluctant Kate to consider marrying him to counter his immigration issues. Pyotr is both awkward and invoked much fondness in this story, which is skilfully comical and light-hearted but does not lack emotion and affection in the characters. Considering how short the book really is, a lot happens and there’s real heart in this retelling. I don’t pick up, “retelling of,” books at all but was pleasantly surprised, amused and touched by this one. This one’s definitely on my list… Sounds like a good re-telling. I love the original. Anne Tyler’s one of those eloquent authors who express so much with few words. Nice review! I just added it to my list. I got into her first with “a spool of blue thread” mainly because she’s from Baltimore (I’ve lived there most of my life). Thanks! A Spool of Blue Thread was the first one I from Anne Tyler too. Baltimore features hugely in the Vinegar Girl. Oh cool! Makes me want to read it even more! If you don’t love it, I’d be surprised. This sounds fascinating; I’ll have to pick it up sometime. Nice review! I loved reading this one. I’m never quite sure if you’re an American or British reviewer AC. On Amazon UK this book has quite ho-hum reviews. Which may be because Anne Tyler is somehow tapping into American culture in a way that British readers don’t relate to so well. I don’t see your enthusiastic review there – which would make a difference to the book, and to British readers who don’t read your excellent blog. Do you x-post to the Amazon sites? I think you do share your blog posts on Goodreads, yes? I am British but I think I am easily infatuated by Americana, which I found particularly charming in this book. I haven’t read the reviews on Amazon UK for this one. I find Amazon reviews some what on the negative side and rely more on Goodreads reviews, but usually after I have read the book. I definitely post my reviews on Amazon UK and US so will check to see if it is still in the approval phase, but it should be there posted under Ajoobacats. I actually finish a book and make it as read on Goodreads, where I formulate my review and then post it to Amazon and my blog. I have a process I follow (I attribute this to my OCD) after I finish a book, which rarely varies. I really love the cover on this one, and was tempted to pick it up until I saw that it was a retelling. Like you, I’m not generally a fan. But from your review, it sounds like it might be worth a read! I started this one with an open mind and no expectations and really loved it. Thank you for reviewing this book. I have been going back and forth on whether or not to read this one because the reviews have been so mixed. Will it matter if I haven’t read Taming of the Shrew? I might have read it in my school days, but don’t remember. It definitely won’t matter if you haven’t read The Taming of the Shrew and may possibly be a better read for not remembering and comparing it.